I can't believe it's pre-fall season already. And in a week I'm going to view SS '15 collections at NYFW! Where has the time gone? Los Angeles is caught in a bipolar weather mood swing--one day (like yesterday) it's in the 90s...and then the next day is a cool reprieve from the heat, full of promise for the upcoming fall season. Or maybe I'm still used to the "feels like 120 degrees" weather I experienced for three weeks in Asia. In any case, I mirrored this and dressed in a very fall plaid coat with a very spring/summer crop top. 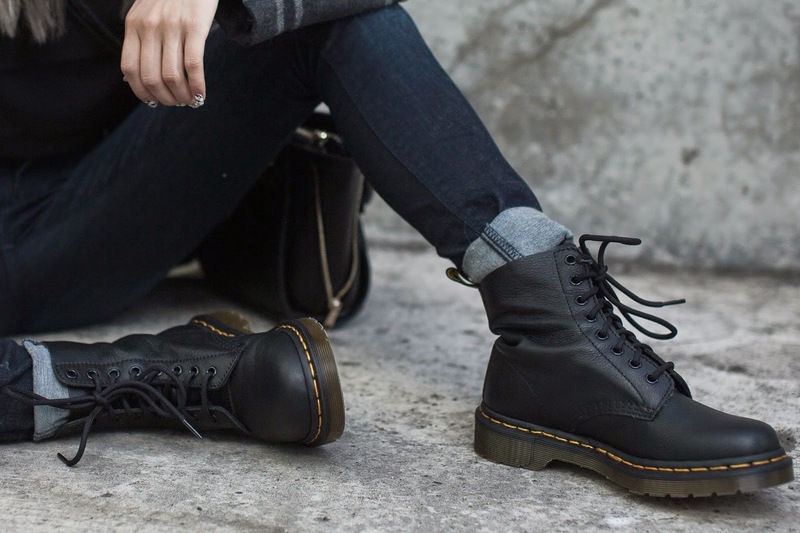 I'm also super stoked about my new Dr. Martens--my first pair of actual Doc combat boots!--to stomp around in. My best friend tells me hers saves her life in NY and I love this new style perfect for LA because it's in a not-as-heavyweight leather, with the same durable sole. And of course, I finished my look with my wild woman hair (freshly redone by James Miju~)...personally in season all year round. 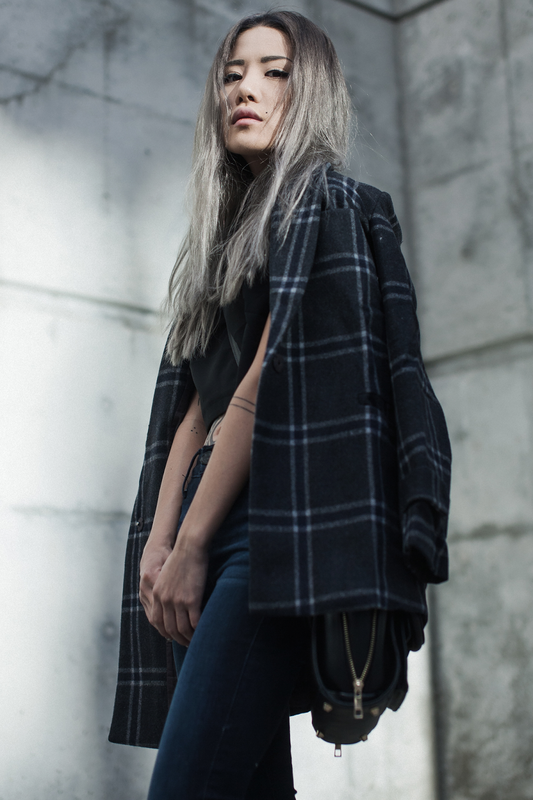 JOA plaid coat via Dailylook. 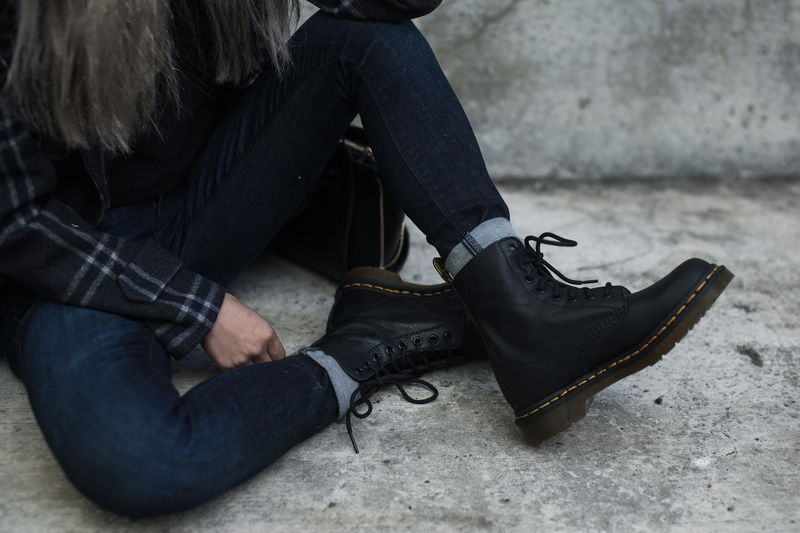 Dr. Martens Pascal boots in Virginia. I love your coat and shoes :) I'm not a big Doc Martens fan but they look great on you! 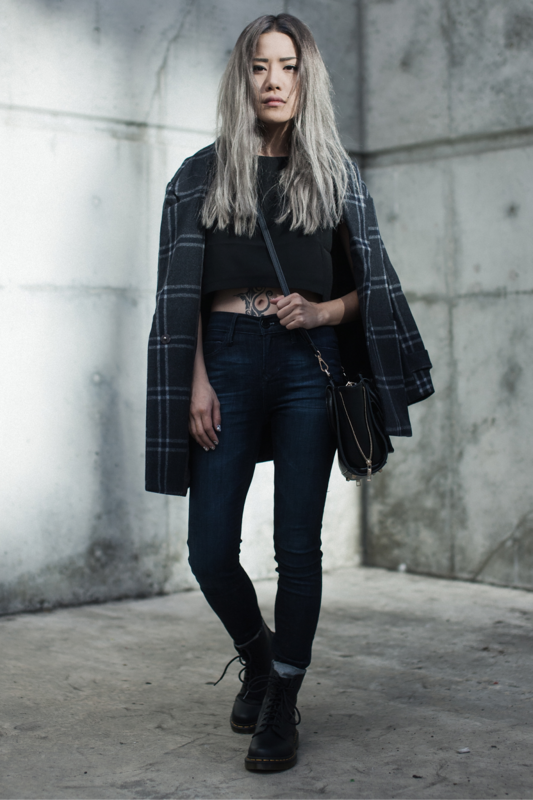 Yourself and your style, is perf. I love your coat! Perfect for the autumn! I love this monochromatic look! You always look so great! Fab outfit, i love it. I'm obsessed with your style! Great post.